These vent free logs from Empire are sold in two formats: the Sassafras and Super Sassafras. 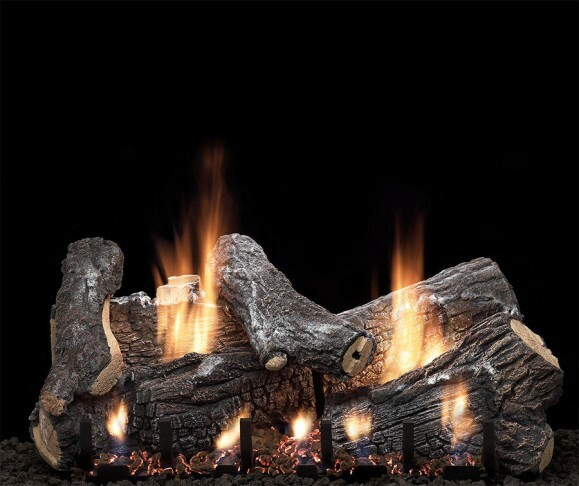 The Sassafras vent free logs are a 6-piece log set that come in 18", 24" and 30" dimensions. The Super Sassafras vent free logs are a 7-piece log set that come in 18", 24" and 30" dimensions. Available slope glaze burners include manual with three position knob, millivolt with on/off switch, variable flame height control and intermittent pilot. Fuel options include natural gas and propane.